No she didn't hold a press conference... No she didn't sell pictures of her baby boy for ridiculous amounts of money... No she didn't twit/instagram/facebook photos of him to the world! 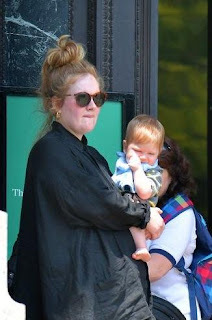 What she has done after shielding baby Angelo from the public eye for the last 8 months and when she was ready for her baby to be shown to the world, she did what any normal person would do, she just took him to the zoo! No make-up, hair in a bun, spending the day at the zoo... totally unaware of who is watching! 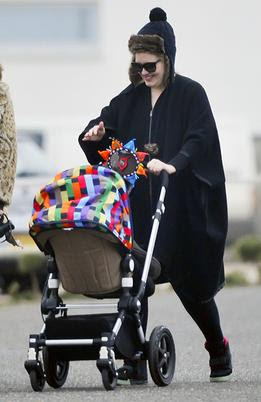 It's not like she kept baby at home... She freely took him out, for walk daily, wrapped in his blankey or in his Missoni Bugaboo pram. 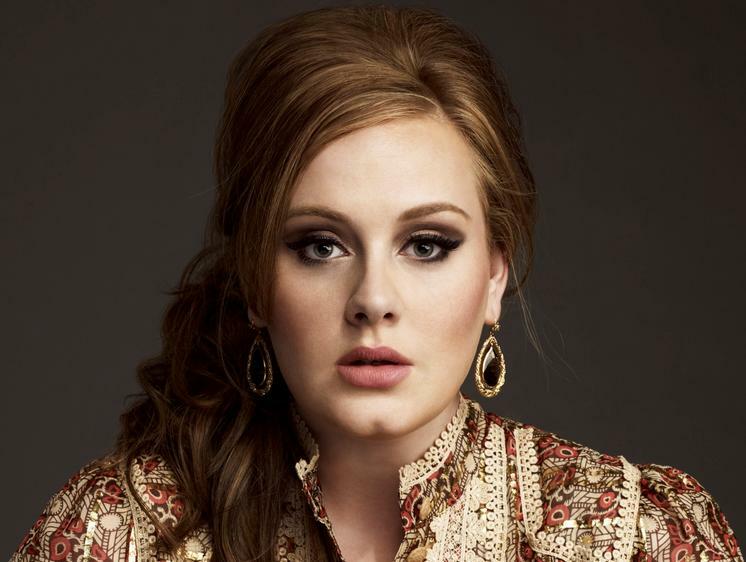 Good one you Adele for doing your own thing and in your own terms!